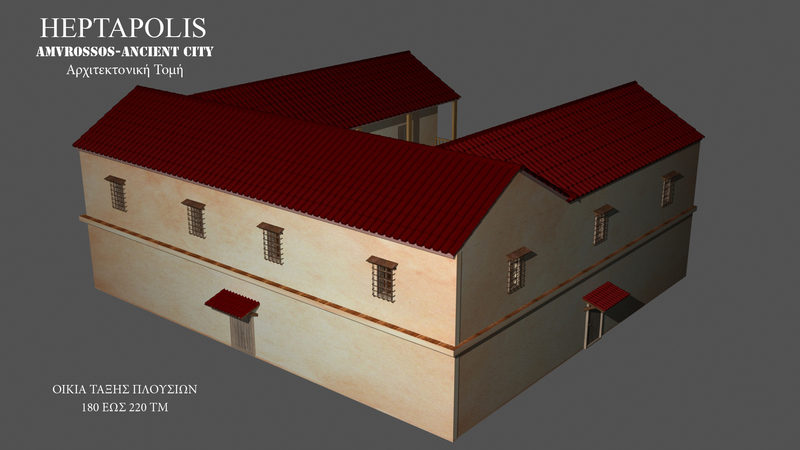 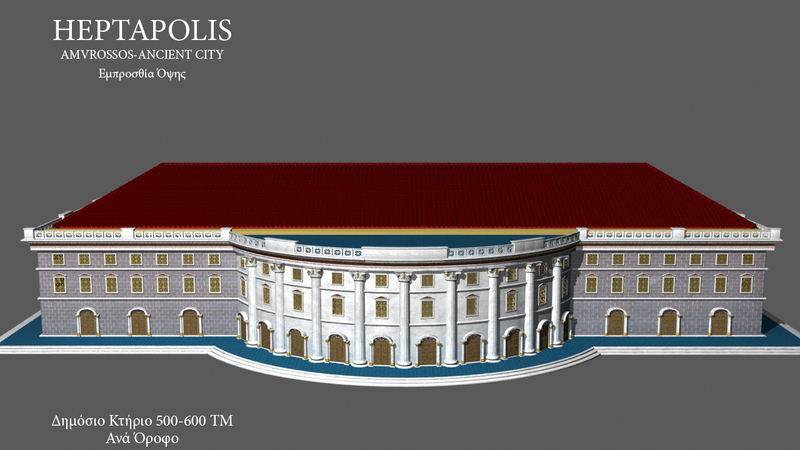 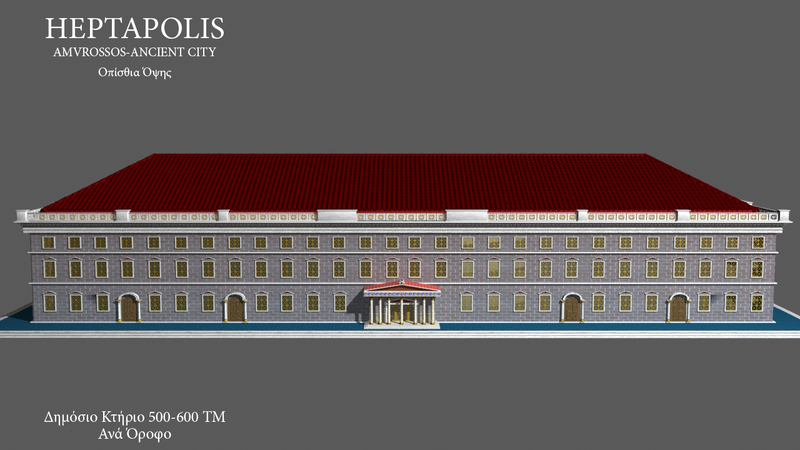 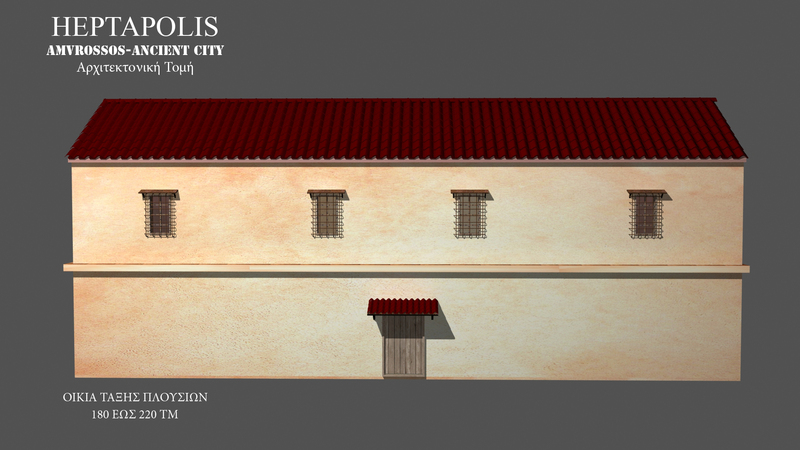 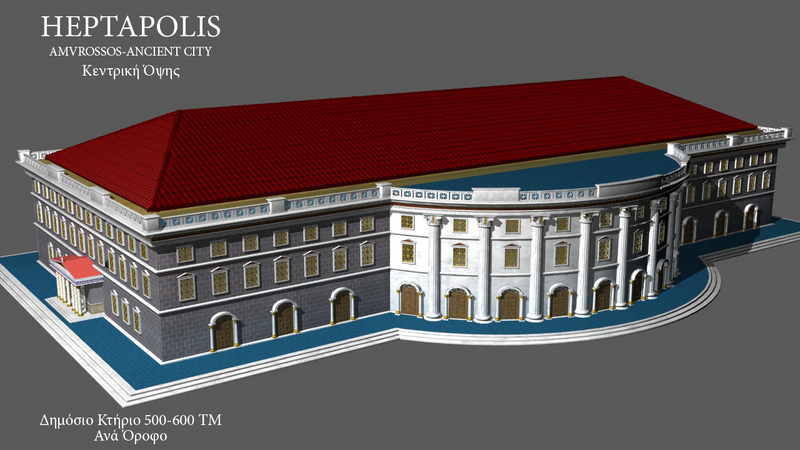 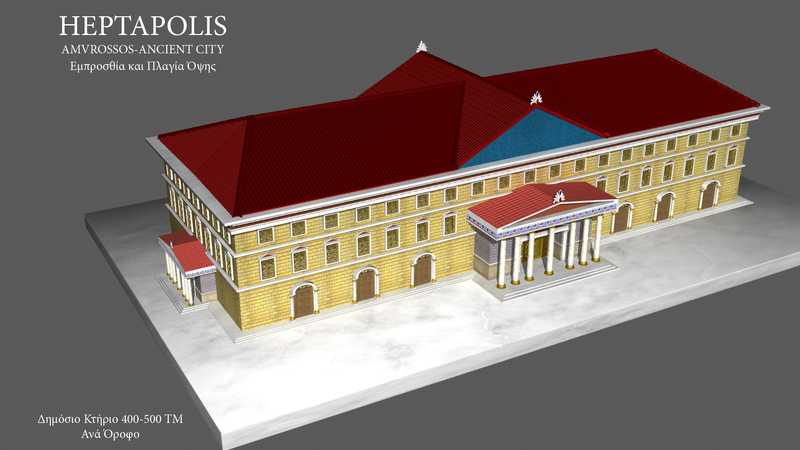 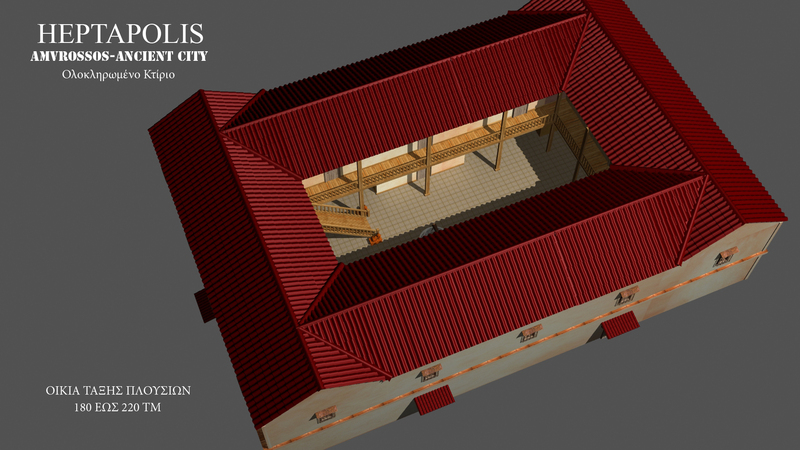 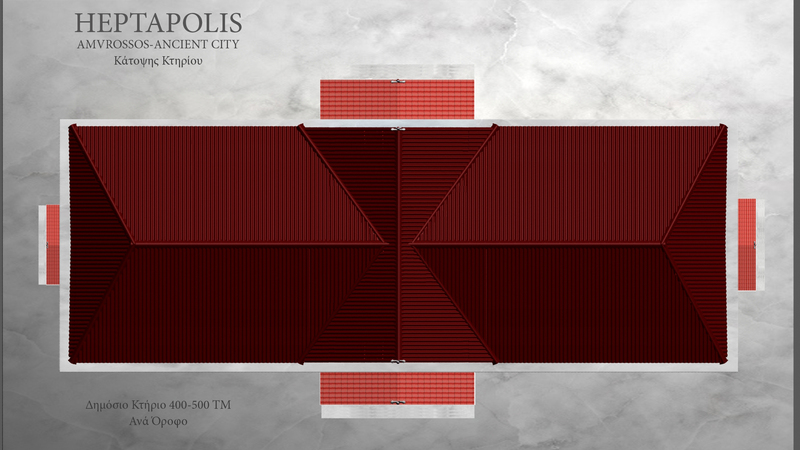 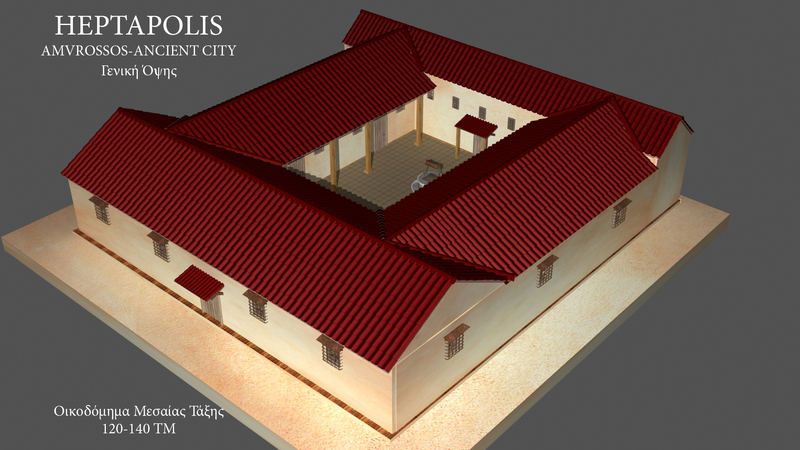 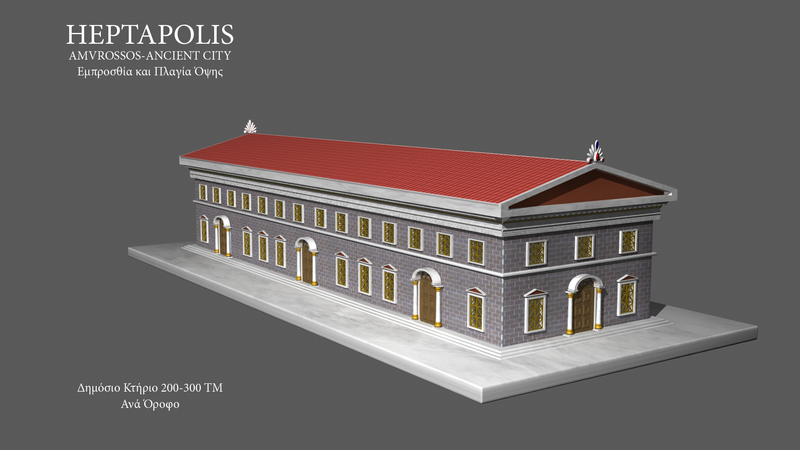 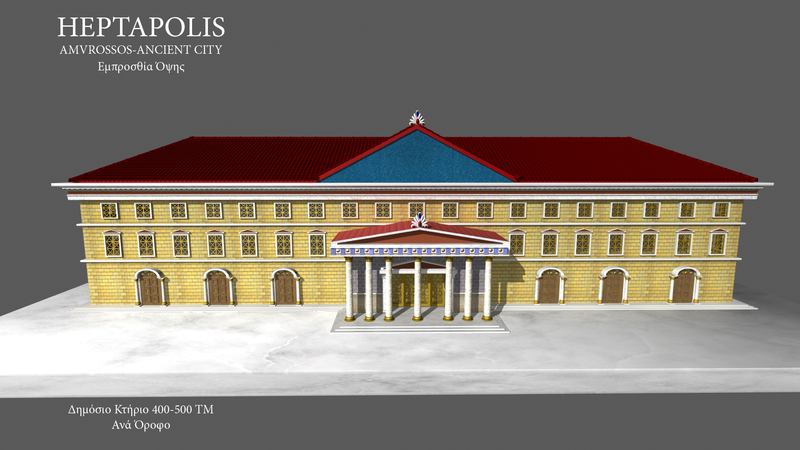 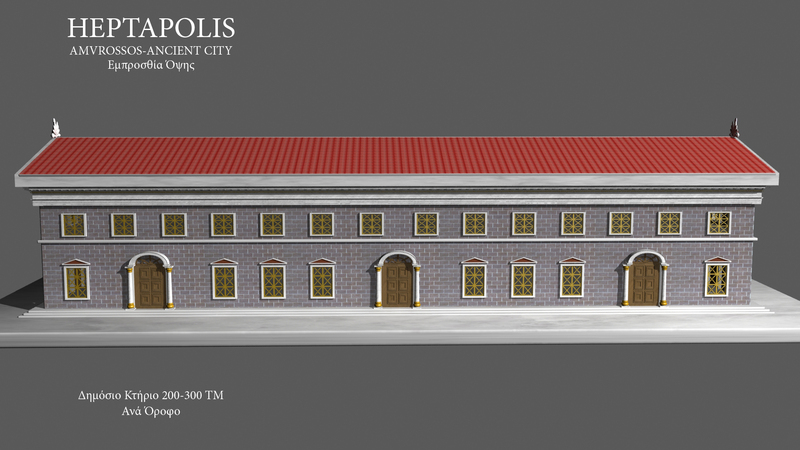 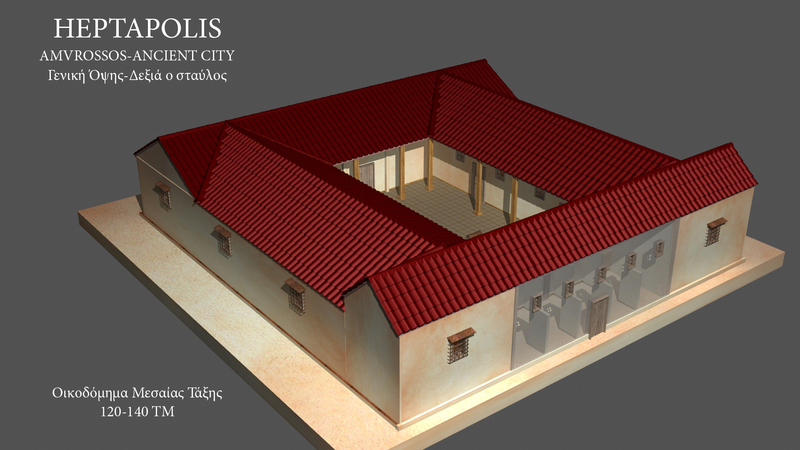 The settlement AMVROSSOS, an Ancient Greek settlement, which will be built near the HEPTAPOLIS, will be the full Classic Archetype for Greece and the whole world. 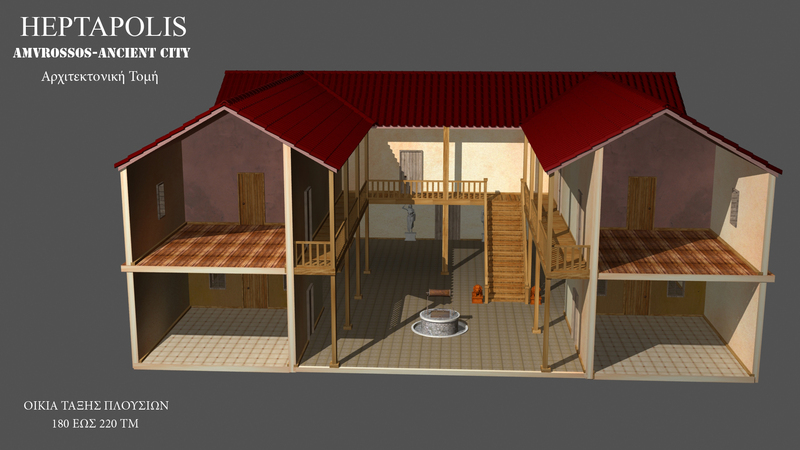 The company’s objective is to build the village with houses, shops and workshops of Arts and Letters, with employment and habitation of at least 300 people, permanently residing in the village (about 100 families). 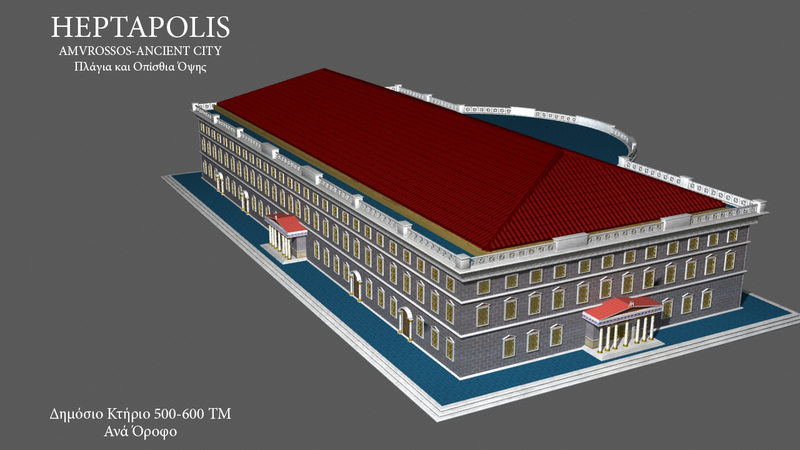 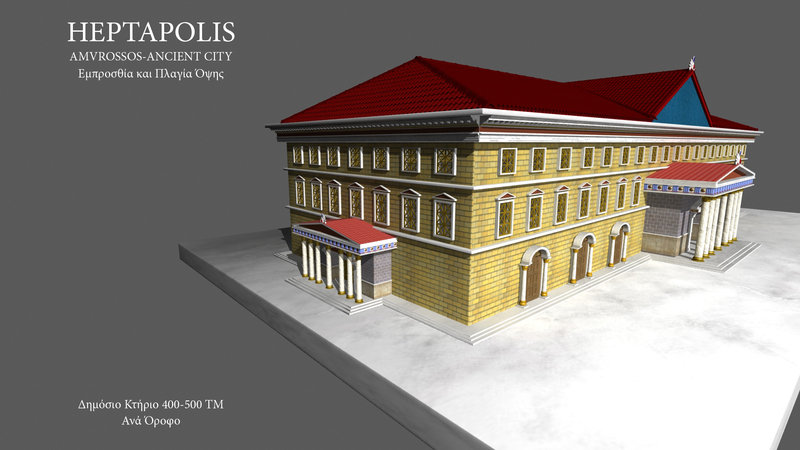 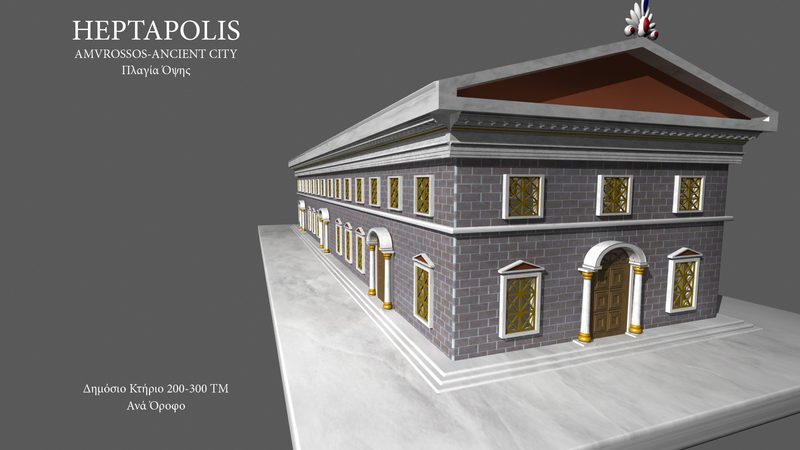 There will be built according to ancient Greek models, houses for the middle class, homes for the class of the rich, public buildings, an Odeon, Arts centers, Schools for Philosophers, facsimiles as far as possible of ancient standards. 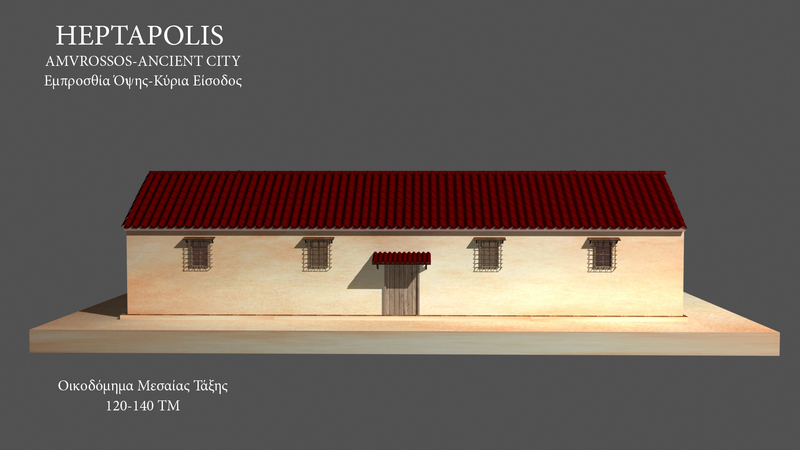 There will be roads with busts of Hermes as signposts, there will be shops, bakeries, wine shops with food and symposium recipes, as well as a soap-works, an Ancient Olive-press, wine-press, wool mill, a blacksmith’s ironsmithy , a Cheese dairy, a Painting Workshop, a Sculpture Workshop, a Pottery Workshop etc. 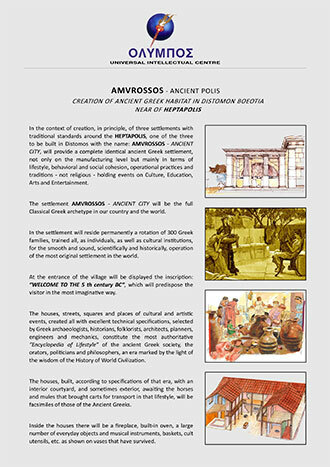 Amvrossos, will be a unique tourist attraction as well as a living cell of an active Ancient Greek Polis, of the 5th century BC era, in which the visitor will experience the mode of architectural design, the mode of education, of social solidarity and altruism, of work, clothing and food in which the ancient Greeks marked the “Golden Age” as the highest standard in the history of Earth and the cosmos. 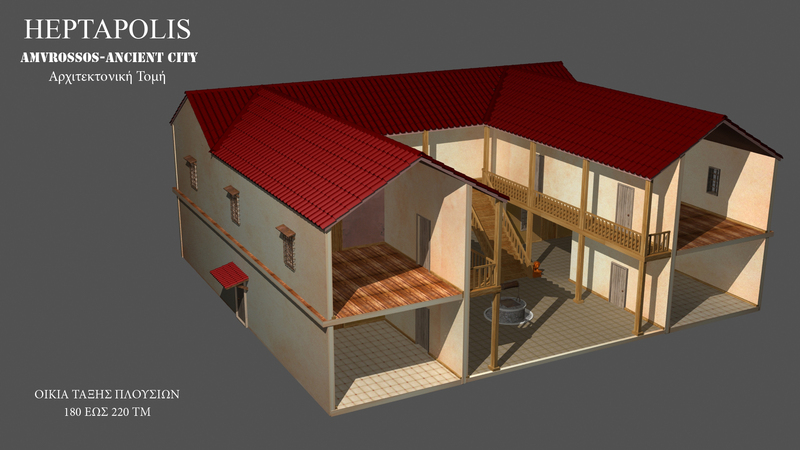 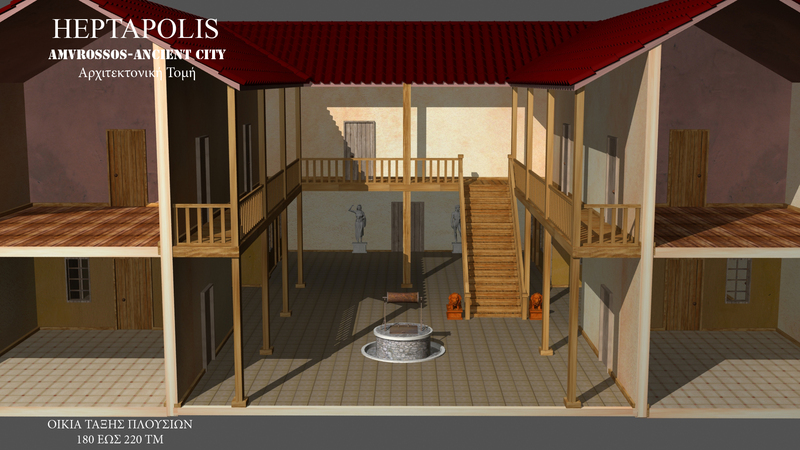 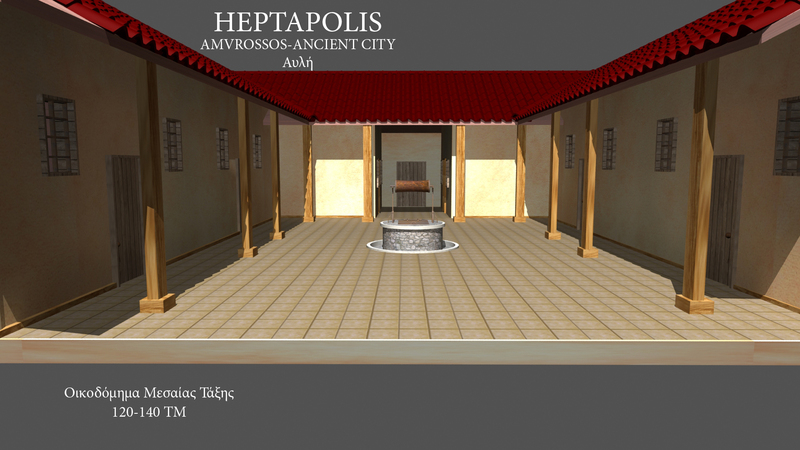 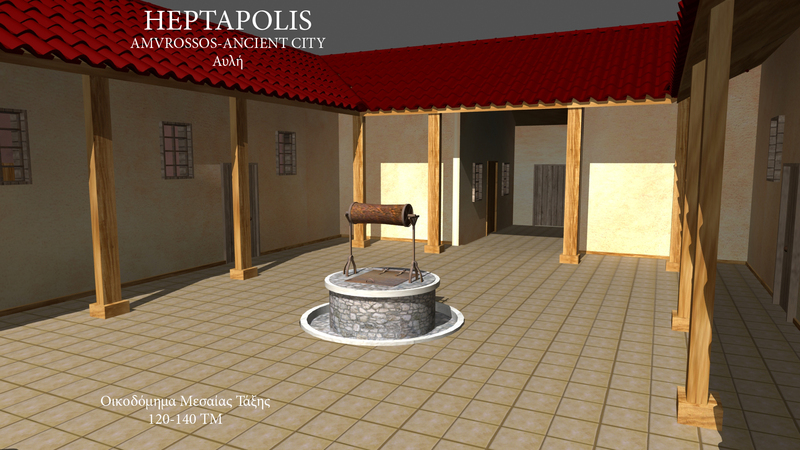 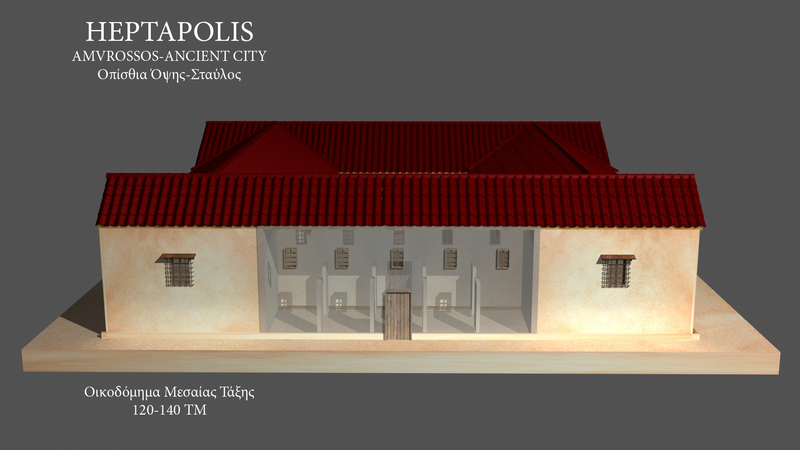 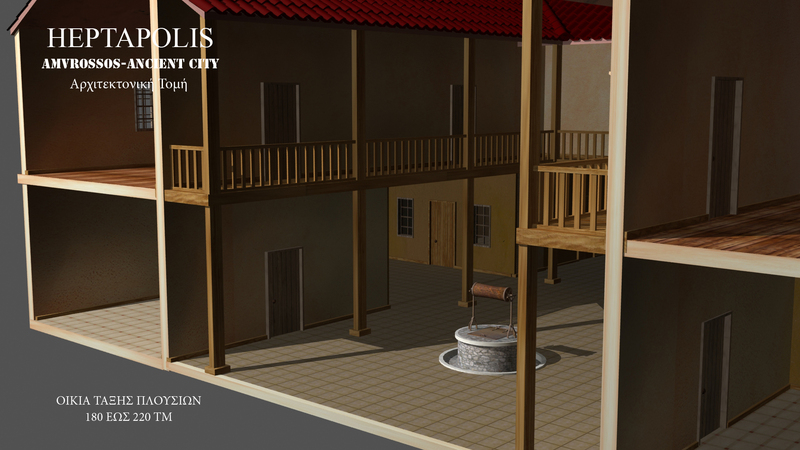 Guests of HEPTAPOLIS, will have the opportunity to visit the village of Amvrossos, which will be built near the area and live unforgettable moments in a space in which buildings, occupations and residents will have the possibility of being transported vividly to the era of the 5th century BC, two thousand five hundred years ago … in the “Golden Age” era of Pericles.